The family-friendly Café with traditional unpretentious cafe food just the way it used to be. From light meals to a burger to challenge any appetite. All day breakfast menu, including our famous Southern Breakfast. Dedicated Children’s menu, delicious home baking, sandwiches made to order and a succulent selection of cabinet food and cream cakes. Refreshing frappes, iced teas, smoothies and good old fashioned milk shakes. Locally roasted coffee beans ensuring a fresh coffee while you watch the kids enjoy our playroom. If you require dairy-free, gluten-free, vegetarian or vegan options, we have a variety just for you. Ask and we will ‘make it happen’. Open seven days and with seating for up to 75, we have time and a place for you all. We also specialise in function catering on or off-site. So come on in and help us make your day. Based in the main street of Mosgiel and at the heart of the CBD, Aurora Cafe is well placed for everything from a takeaway coffee to a hearty lunch. Nominated for Little Treasures Magazine Child-friendly Cafe! Thanks to those who nominated us. 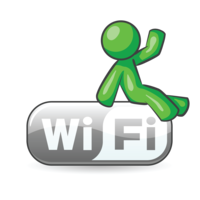 Browse the web, send an email while enjoying a coffee or a meal… and your Internet access is on the house! 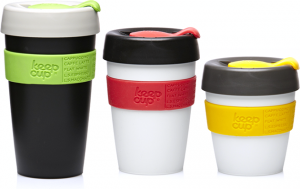 Keep Cup – Save the Planet and your wallet! Enjoy your coffee on the run without the guilt of adding to the world’s mounding pile of takeaway cups. Talk to our staff about the benefits of KeepCup – available in store. Buy one today and receive a free coffee of your choice. 52 Restaurants in 52 Weeks Get to know us by reading about Aurora Cafe on Tourism Dunedin’s website. Good Coffee Enjoyed a coffee at Aurora? Let others know here! NZ Café of the Year Vote your favourite cafe to as the best in NZ! Reusable Takeaway Cups Reviewed Looking for the perfect reusable takeaway cup? Stu Todd MasterChef NZ Stu is a local teacher and regular customer at Aurora Cafe. Follow Stu on his Facebook page. The Strictly Coffee Company Our coffee is freshly roasted in Dunedin by The Strictly Coffee Company.